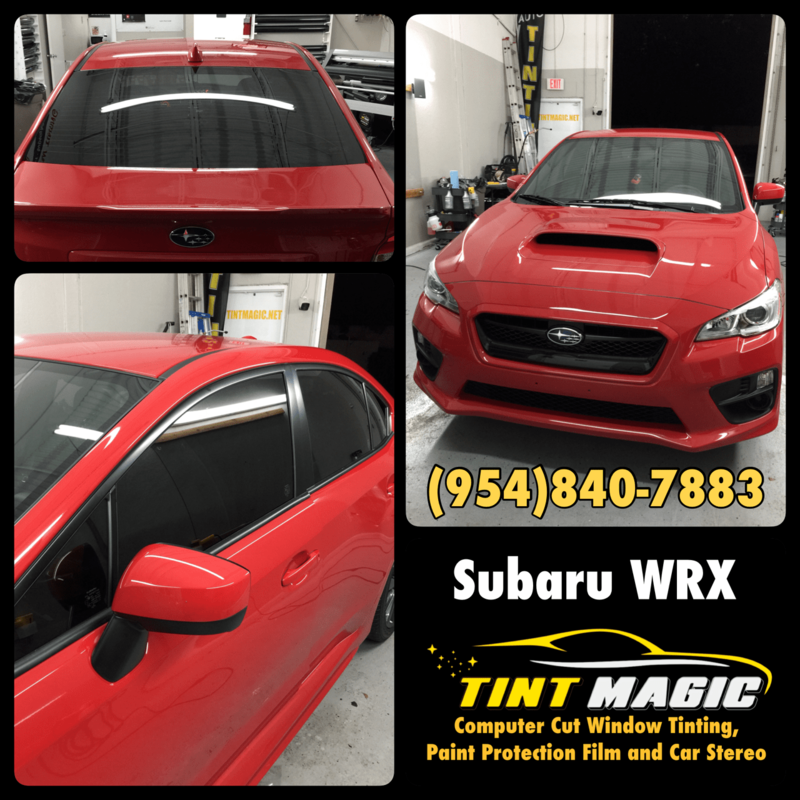 Subaru WRX at Tint Magic Window Tinting Coral Springs.We have applied SunTek Nano Carbon CXP in 25% all over windows for best heat rejection (up to 54%) and 99% UV protection. We only use Made in USA window film. Call us for the best quality and service! (954) 840-7883. Tint Magic Window Tinting serving Coral Springs, Parkland, Tamarac, Coconut Creek, Sunrise, Weston, Margate.